Since the Fed ‘created’ ‘money’ after 2008 that was then deposited back at the Fed by the recipient banks ( say,75% of it), it is not easy to see why the Fed is to blame for the credit explosion since 2008- nor for the very slow ( like a paralytic centipede) hike in Fed Funds that seems already as I write to be seen as a problem. Surely it is the banks who truly created the money ( out of nothing as usual) by financing the purchase of EXISTING assets at ever-rising prices (and also consumer spending) rather than new business expansion? In other words, the fault is at the bottom to be laid at the door of the banks. They created the wrong kind of credit bubble ( not that any such is ever a good idea). ANSWER: There is a deeper problem that nobody addresses. The entire Keynesian philosophy of increasing the money supply was based upon the practice whereby private money was being created during each crash since 1857. It worked perfectly. Here is a Depression Scrip for $1 to supplement the money supply during a crisis. There was nothing wrong with this concept. The original design of the Federal Reserve in 1913 was PERFECT!!!!!! It “stimulated” by purchasing corporate short-term paper which created an elastic money supply. The paper naturally matured and thus the money supply contracted. When Congress usurped the Fed in World War I and ordered it to buy only government bonds to fund the war, they NEVER returned the Fed to its original design. Changing the structure of the Federal Reserve has altered everything. Now the Fed “stimulates” buying government debt EXCLUSIVELY! It buys in that debt it THINKS from the banks, but foreign governments were selling it to them as well – particularly China. Therefore, the money NEVER made it directly into the economy. The banks complained to the Fed so it then created excess reserves DEFEATING the very Quantitative Easing. 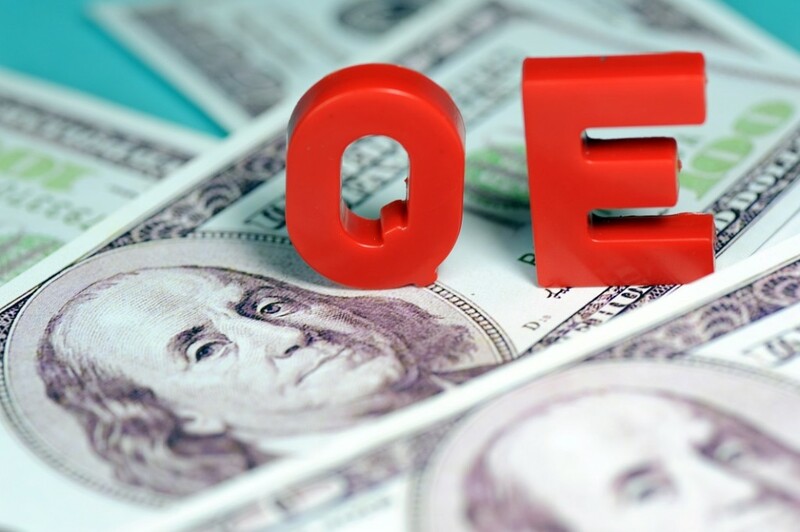 Therefore, the structural alteration of the Federal Reserve for World War I transformed the theory of Quantitative Easing into an INDIRECT stimulus rather than DIRECT. They “hoped” the banks would lend but NEVER did. Interest rates did not decline on credit cards and consumer loans in proportion to what the Fed was doing. The entire stimulation theory fails BECAUSE the Fed does not act directly with the economy and relies on the banks.